The society's February 2014 Newsletter is now available. See front page below with newsletter contents listed. At a closed session of Marple Area Committee on 5th February 2014 councillors voted to recommend acceptance of a report by the Director for Place Management and Regeneration on the future development of Chadwick Street car park. The report recommended that the contract with their previously preferred developer, Kirkland Developments, should be terminated and the council proceed with an in-house scheme using their new property partners Carillion:CBRE. 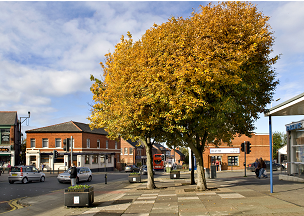 The Civic Society submitted a report to the Area Committee restating its position that it supports the foodstore development as a means of regenerating Marple but has grave concerns regarding the council's traffic scheme and calls for an independent study. See here for our report. The Director's report came before the Council Executive the following week for final approval and was approved. See here for minutes of the Council Executive meeting (Item 18). an in-house scheme removes commercial pressure and therefore could delay the start date of the development. there will be no requirement to resubmit a new planning application. This means that the council's traffic scheme, which would create a 'ring road' effect around the new store and precinct, has planning permission to go ahead. Would you like to see this space used for an extra lane of traffic? The Director's report states that the development "is strongly supported by the local community". This may well be the case for the foodstore but the traffic scheme was NOT part of the Kirkland consultation. 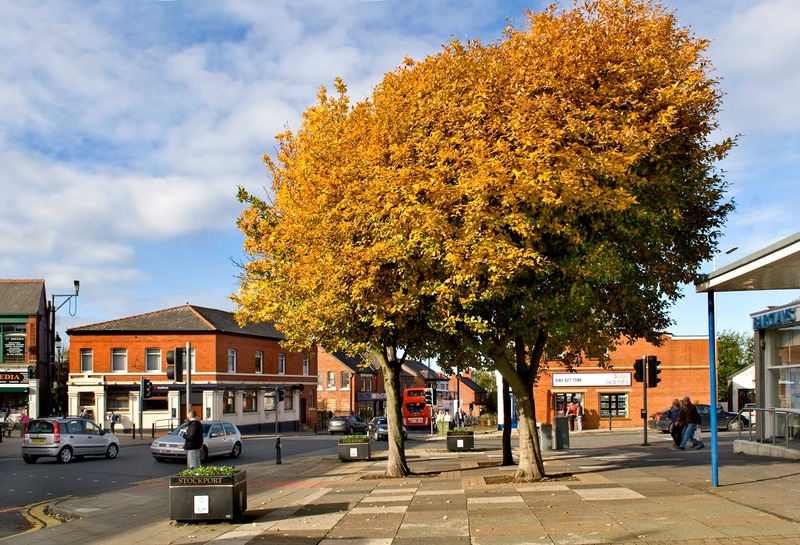 Therefore, the community has NOT been consulted on the widening of Stockport Road at the Hollins Lane junction (including pedestrian island and two stage crossing) or traffic lights to replace the roundabout at Littlewoods butchers. Indeed residents consulted by the Civic Society, many of whom attended the Kirland consultation, were not aware of the traffic proposals. Following the Area Committee meeting, chair of committee Cllr. Candler wrote to the Civic Society in response to our submission. He said that our report would be minuted, that the Area Committee understood our concerns and that "there may well be a need for a complete review of the highway implications of any revised scheme as we move forward". However, the minutes of the Council Executive meeting, where the decision was taken, show that the Civic Society's concerns were not discussed. Only public pressure now stands in the way of a full implementation of the council's traffic scheme. The Civic Society's position remains that we support the provision of a food store on Chadwick Street car park with the condition that an independent urban design exercise is carried out to include meaningful consultation with the local community. In view of the long term effects the development will have on our town the Civic Society believes that this is not too much to ask. In Autumn last year one of our members, Mrs Barbara Sexton, wife of the late Basil Sexton who was a founder members of the civic society, donated a painting of Mellor Mill to the society. She had bought the painting at an auction in 1958 from Abney Hall in Cheadle. The painting is listed in the 1912 inventory by the Watts family who have owned the hall for four generations since Sir James Watts purchased it in 1850. Sir James Watts was a cotton magnate who moved in high circles and built a warehouse in Manchester which is now the Brittania Hotel. His grandson was married to the sister of novelist Agatha Christie. We thank Mrs Sexton for her very kind donation to the society but the timing of the donation is quite extraordinary because Ann and John Hearle had purchased an original painting of Mellor Mill by Joseph Parry on behalf of the Mellor Archaeological Trust (MAT) about tweve months ago. 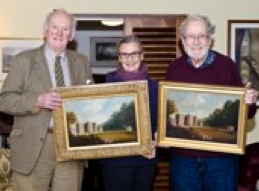 When we met to comapre the two paintings, and also an etching of the original painting which hangs in Marple Library, we found all three were remarkably similar. 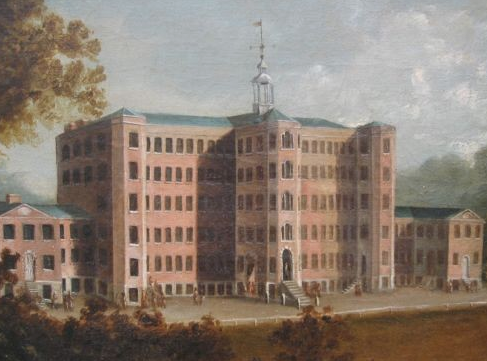 The society has sought an opinion from Bonhams whose advice is that the civic society painting is also an original painting of Mellor Mill by Joseph Parry painted around 1800. MAT has arranged to display their painting in Marple Library as part of the 'Revealing Oldknow's Legacy' project. 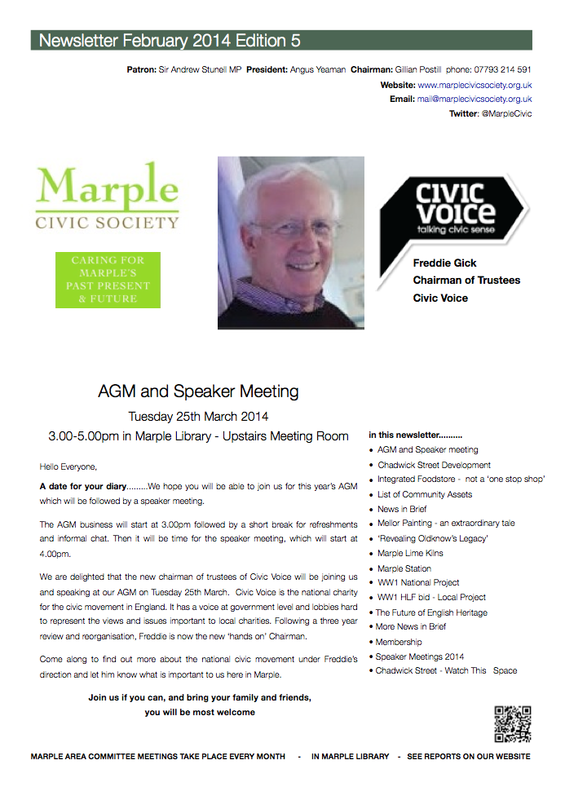 The Civic Society supports the project by Friends of Marple Memorial Park to upgrade the skate park. The project is part of the Vision for Marple Regeneration project and we were happy to write a letter of support recently to help the Friends with their fundraising. 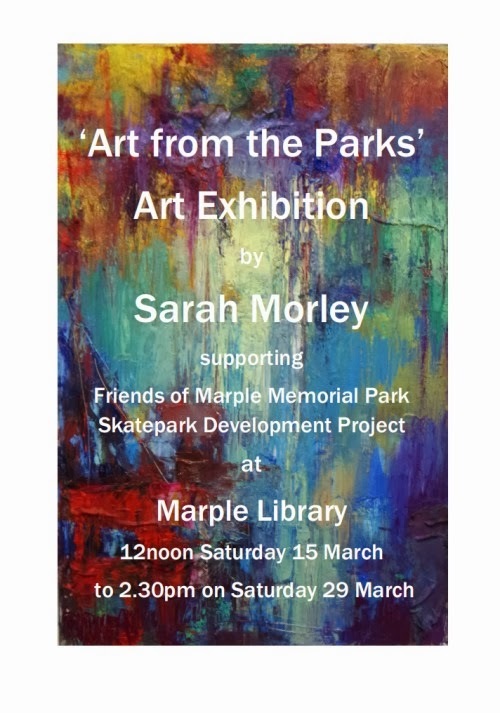 There will be an art exhibition at Marple Library from15th - 29th March to raise awareness and hopefully some funds for the project. There will be a launch event at the start of the exhibition on 15th March. Sarah Morley, the artist, first became interested in local parks when the council was consulting on making cutbacks to the local parks last year. 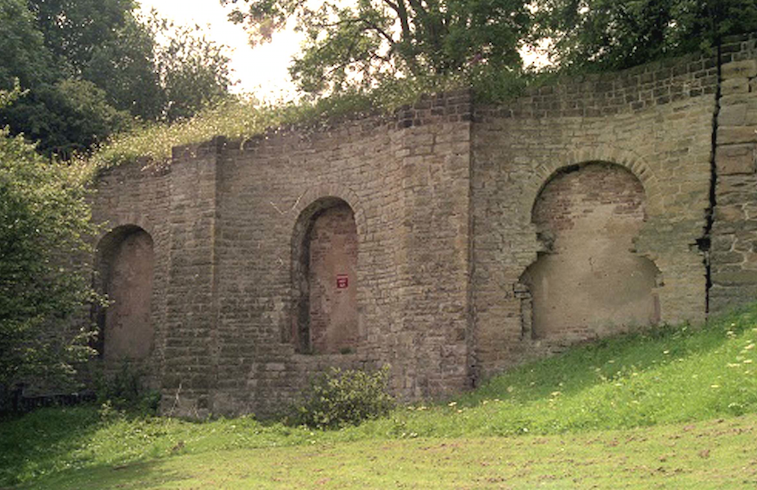 As a result of including the Lime Kilns in the 'Revealing Oldknow's Legacy' project much deserved attention is being focussed on this important scheduled monument which is an integral part of Marple's history and heritage. 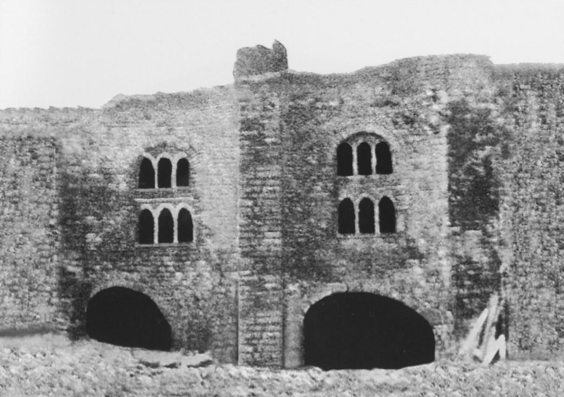 Recently, English Heritage put the site on its 'Monuments at Risk' register. When built, Marple Lime Kilns were spectacular both in scale and architecture setting them apart from their contemporaries. 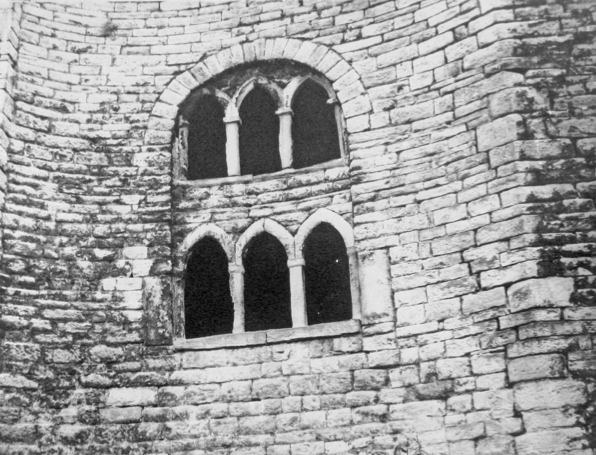 The upper chambers were used for domestic accommodation lit by large Gothic windows. Before the community dig starts this year survey work will be carried out, funded by English Heritage. A meeting took place recently to discuss the implementation of the works which will require removal of vegetation to facilitate the survey. The meeting received a report from the Stockport MBC Director for Place Management and Regeneration on the proposed foodstore on Chadwick Street. The director recommended that councillors should decline the Kirkland offer and choose option 4. After a short closed session councillors chose option 4. The Civic Society submitted a written response to the report prior to the meeting re-stating our position that we support a foodstore on the Chadwick street site with the condition that an independent urban design study is carried out with local community involvement before work commences. The society has evidence that the "strong public support" referred to in the director's report may be true for the foodstore but is not the case with the associated traffic/public realm proposals which involve more traffic lights (at the Littlewoods junction), guard rails and a widening of Stockport Road at the Hollins. These proposals were not part of the Kirkland consultation. Would you like to see this space used for an extra traffic lane? 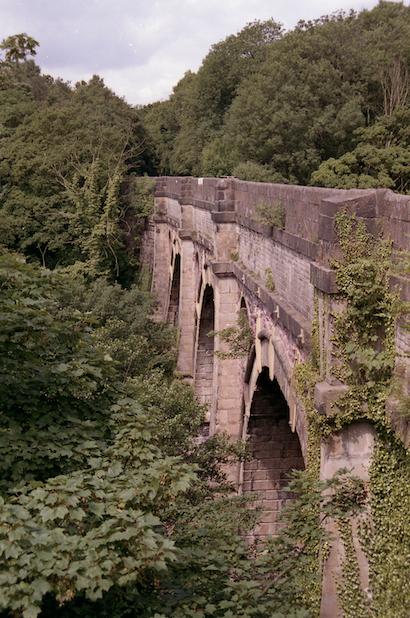 Fantastic news for Marple............The £1.5 million bid made by Mellor Archaeological Trust and Canal & River Trust to the Heritage Lotery Fund (HLF) has been successful. The three year project will see lots of activity centred around three important sites in Marple and Mellor which tell the story of Samuel Oldknow and the huge and lasting legacy he left behind.